The Holy Stairs are believed by the faithful to be those which led to the praetorium of Pontius Pilate in Jerusalem. 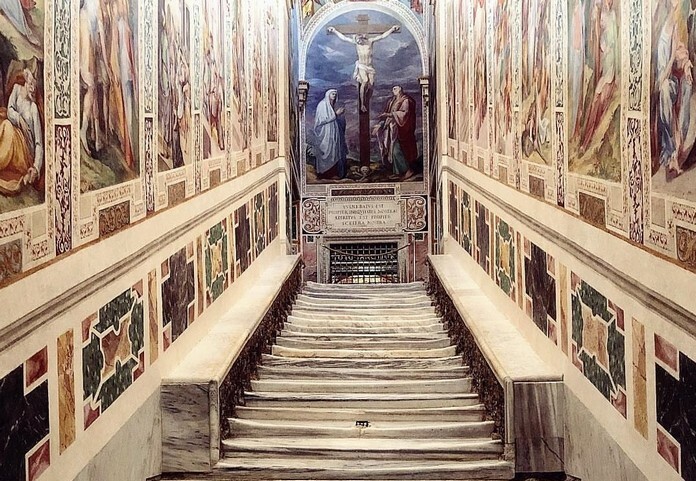 According to tradition, the steps were brought to Rome in 326 AD by St Helena, mother of Emperor Constantine. 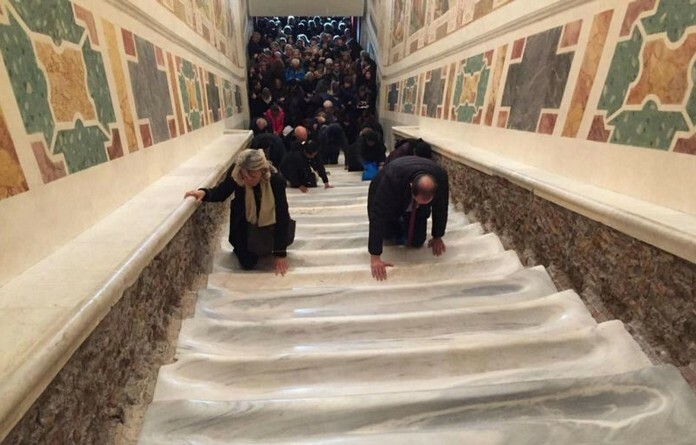 The stairs, located opposite the Archbasilica of St John Lateran in Piazza di S. Giovanni, have been closed off for more than a year during the Vatican’s restoration. 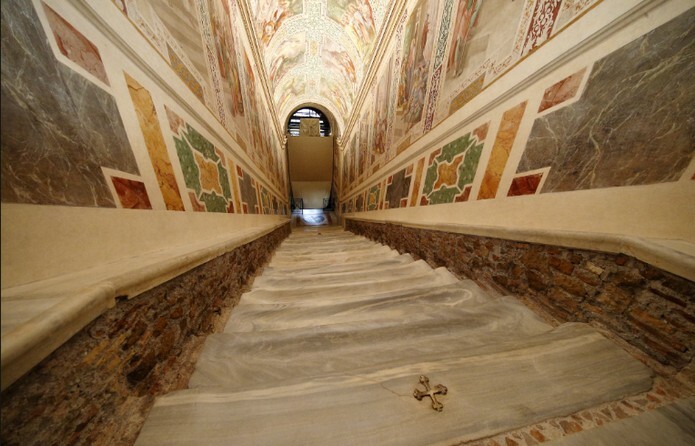 Before being removed from the stairs, the walnut wood casings had square holes cut out to allow pilgrims to touch the marble beneath, once the timber is resinstalled. The steps were first opened to the public by Pope Sixtus V in the late 1580s but in 1724 they were encased in wood to protect their detoriating condition. Each year the Holy Stairs attracts around half a million pilgrims who must ascend the steps on their knees, praying along the way.